We email all our invoices. The email will have it's own secure and personalized payment link for you only. 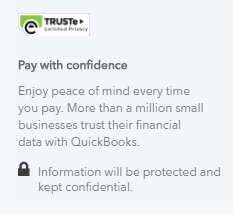 You can pay directly online (and we never get passed your financial information). All invoices are due within five (5) days. 1.0 Progress Billing: Larger projects and/or time delayed projects are subject to Progress Billing. This means we bill a partial billing by a percentage, that is near or equal to, the projects completed percent status and continues up to the project completion. -For example, we complete 25% of the project, we invoice for 25% of the Estimate total and so on, up to 100%. *Note; this billing practice does not included extra items added after the project started and that was not listed on the original estimate provided. When you accept and approve our estimate you also agree to our billing practices. Progress billing DOES NOT apply to smaller jobs such as service calls and smaller commercial or residential electrical projects. 1.1 Progress Payments & All Payment Terms. Our invoice are Net 5 days, no exceptions. Invoices are due within 5 days of the Invoice date, the due date is listed on all invoices. 1.2 Late Fee. Invoices will incur a $10.00 flat fee or 10% of the invoice total whichever is greater every 30 days. 1.3 Deposit. For projects requiring a contract (not applicable for service calls) a deposit of ten percent (10%) or $1,000 (or one thousand dollars) which ever is lower is due before work commences. 1.4 Collection of Payment. We value the relationship we have with our clients. If you working with us, and you are a liaison between you and someone one else (a client, customer or homeowner) such as real estate or property management agent, you understand and agree that it is your responsibility to remit payments to Penney Electric. We will not perform collection activities to YOUR client. 1.5 Withholding Payments. You agree to not withhold payment that is due to Penney Electric upon a valid invoice solely because you have not yet collected or received funds from your client. Once the estimate is approved there is no negotiation on the amount billed as long as the amount requested is listed in our billing practices, listed above. 1.6 Direct Payment/Liens. Any payment that is not directly made in a timely manner to Penney Electric we hold the right to issue a stop work order and process the filing a mechanics lien against the property. ​1.7 Returned Payments. There will be a $35 fee for any payment that is returned unpaid. In this industry most competitors utilize a cost based plus markup pricing or 'Skim Pricing'. Penney Electric operates under value based pricing. This means our pricing is based on the value we deliver to you without having to raise our prices to accommodate items such as soft operating costs (i.e. merchant account software, office securities maintenance etc). We do not separate costs on parts or fixtures nor do we ask for up front funds to provide such parts or fixtures. Our prices are inclusive of all taxes. What this means is we pay the sales tax on all material and supplies we purchase and we do not pass that sales tax cost through to you. We request that you are mindful of this fact and hope you can understand the importance of paying your invoice timely. ​Our bottom line is the bottom line - no hidden costs! Before we start the work, we request you sign our written estimate as it details the projects scope and costs. If your company is contracting us and your accounts payable department requires a purchase order number on any item, make sure we get passed that information before the project commences as it provides both parties with proof that the services and/or products will be completed or ordered and are authorized for the project. We accept free online payment when paid with a checking or savings account. We accept Visa, MasterCard, Discover and American Express with no fee charged when the invoice is under $2,500. Invoices between $2,500 and $3,900 will be charged a $45.00 Convenience fee added. Invoices between $4,000 and $5,500 will be charged a $75.00 Convenience fee added. We will not accept credit cards for invoices greater than $5,500. ​If you have any questions regarding our credit card policy please do not hesitate to contact us.